Hi folks, thanks for tuning in. This week I am celebrating my 100th sale in my Etsy shop. Pretty incredible, really. * The day a customer in Sweden bought three sunfrocks in one day, sized one, two and three. I can just imagine those three little girls skipping through the Swedish country side in their little dresses! I have really enjoyed running my Etsy shop in my spare time. I have learned that it is like a newly lit fire, the more you tend it and feed it, the more it grows and prospers. Little and often is the key. To celebrate and to say thank you to my customers, I am running a special sale in my shop for a short while only. The coupon code for a 20% off discount is "CELEBRATION"
With the holidays coming up I hope to hit the sewing room and build up my stock levels, so check back in a week or so to see what is new. I have a growing pile of vintage sheets which await their reconstruction. Bring on the holidays! Congratulations on your 100th sale! I recently met that too as it was a goal of mine! I so agree that the more you tend your Etsy shop and feed it the more it grows! 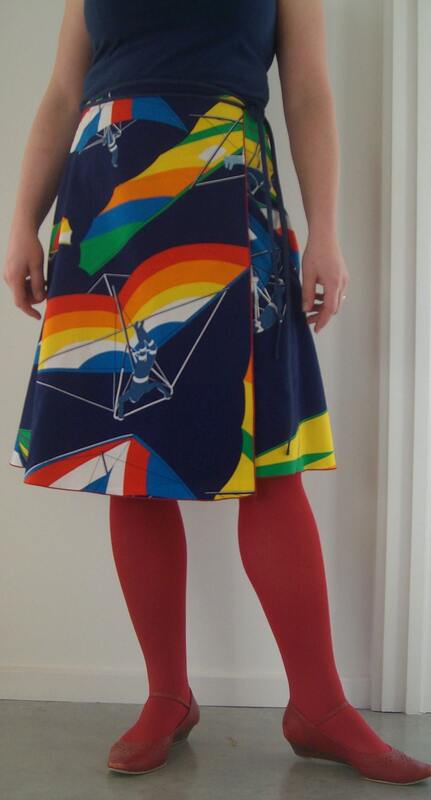 LOVE that hang glider skirt. That is beyond rad. Can't wait to see what else ends up in the shop! Congrats on your 100th sale! That hang-glider skirt is SO cute! Congratulations Hannah!! 100 sales is a big milestone:) I always look forward to seeing what you come up with next! Congratulations! It is a little surreal to think about someone in a place you may never see and who may not speak your language, purchasing and enjoying your sweet dresses. We live in such a great time! That dress looks so sweet on that little girl. Congrats! Congrats on your success at Etsy! You make really pretty things!